Use the button below to pay. Need to pay a different amount? Your ability to pay. I want this course to be affordable for everyone. Your desire to help others who don’t have the ability to pay. Important: How many people you are sending to DwightClough.com. If you are enthusiastically referring person after person, then by all means, treat yourself to a discount. Have you already purchased other courses from me? If so, feel free to treat yourself to a discount. What you feel the course is worth. Maybe you feel the course is worth more or less than the amount I’ve specified. Having said that, if you have the ability to pay, and are only willing to pay little or nothing, then please stop taking the course. This course won’t help you if you don’t value it. I don’t want students who aren’t being helped. Where you live. If you live in a place where Christians are persecuted and just viewing this material is dangerous for you, then you don’t need to pay anything. Don’t pay anything if this transaction will place you in danger. Likewise, if you are truly destitute and really have no money, then don’t pay anything. Just read to the bottom of the page. Thanks! After you click on the button, be sure to enter the amount you choose to pay where it says “price per item.” Thanks! Once you’ve made your payment, please read to the bottom of the page. Thanks! 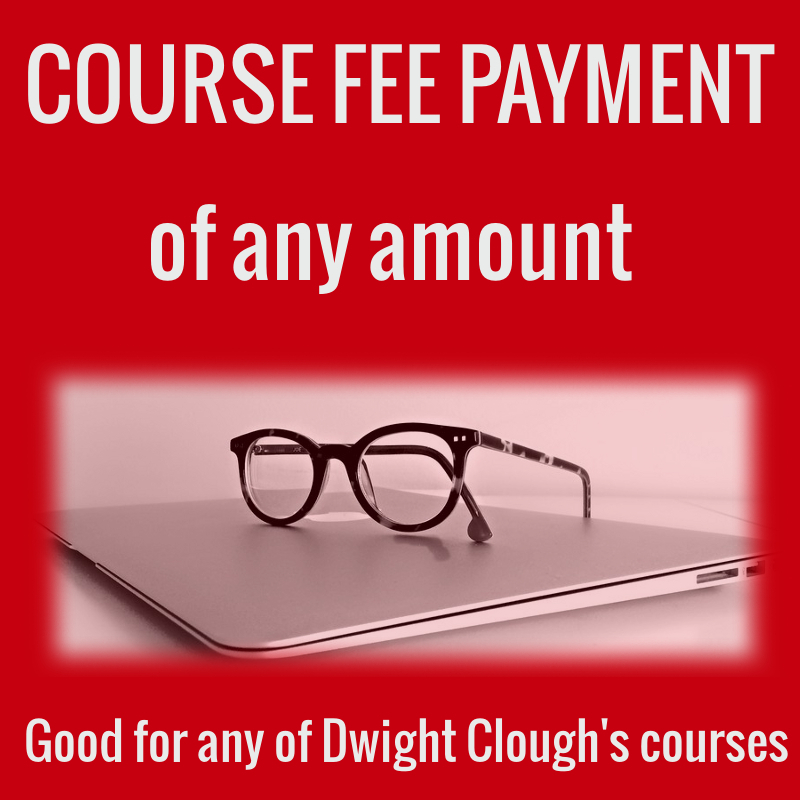 Enter the amount you wish to pay below and then click the button to make a payment (via Stripe) of any amount toward any one or more of Dwight Clough's online courses. To protect your privacy, we do not track which online course you are paying for. Your payment gives you access to whatever course(s) you choose. You may make one or more payments; your payment may be applied to one or more courses. IMPORTANT: When you complete your transaction, you will be given links to the payment pages for each course. Choose the course you are taking, click through to that page, then scroll to the bottom of that page to link to the next lesson. Any questions, contact me (Dwight) here. Prefer to mail a check? Make it payable to Dwight Clough, and mail it to Dwight Clough, W7502 County Road G, Pardeeville, WI 53954 and write “online course fees” in the memo line.